Jade started with Dawsons in 2006, beginning her career in administration, and has worked through the ranks of negotiator, valuer to the branch manager she is today. Jade is a key staff member in the busy Swansea office. She is highly thought of by customers and staff alike, with a professional nature and friend to all with an impeccable memory to boot. Although Kelly came from a background in retail management she has settled well into her role as a negotiator here in Dawsons, joining us in 2014. Kelly has made a huge impact on the Swansea office, both socially and physically and is most certainly a key member of the team. Since joining Dawsons Kelly has caught the running bug and can often be found along the seafront . Coming from a lettings background, Bernadette started in our Morriston rentals office in 2013 as a lettings negotiator, moving to Swansea office in December 2016 to resume the same role within a different team. Bernadette sits in the hot seat of the Swansea office greeting all the footfall through the door. In er spare time Bernadette enjoys cooking and spending time with friends and family. Previously living life in the sunshine working as a holiday rep, Gethin joined the company in 2007, working in the Swansea office as a negotiator and specialising in our student lets. Gethin is a family man who loves nothing more than to pack up his camper van and escape at the weekends. Paula joined Dawsons early 2019 with over 15 years’ experience in the property management trade having worked in both private and social sector housing in a variety of roles. Paula has an NFOPP level 3 qualification in residential lettings and property management and Level 5 ILM and OCR qualification in leadership and management. Paula joined our busy Swansea maintenance team on a full time basis. When not in the office you can find Paula enjoying time with her family and friends. Yvonne has worked part time in our maintenance team here in Dawsons since 2008. Yvonne is a ray of sunshine to the maintenance team, bringing calm and tranquillity to the busy setting, and very often cake of many varieties. When not in work Yvonne enjoys spending her time with her family. Annette joined the maintenance team in 2015 coming from a property management background previously. Annette is a tonic to have in the office, and you can often hear her laughter coming from the maintenance office. When not in work Annette is a fantastic baker, mother and grandmother. From managing a central London pub to property management, Dan joined our maintenance team in the summer of 2015, swapping the hustle and bustle to a quiet Swansea family life. Dan alongside his co-worker Laurence, make the Swansea office a fun and interesting place to work. 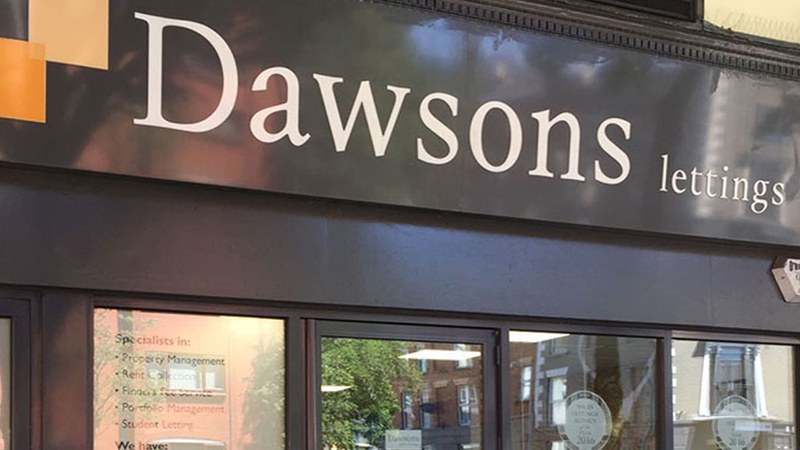 Josie came to Dawsons as a property inspector in January 2019 with experience of working within another local estate agent. Prior to working within estate agency Josie has experience within the beauty trade. In Josie’s spare time she enjoys relaxing with her family, holidaying with friends and taking Alfie for a walk. Gina returned to Dawsons in 2017 as a member of the Property Maintenance team. Gina previously worked for Dawson’s some years ago as a Sales Negotiator in our Killay branch. Her love for property, has encouraged her enthusiastic return to us as a Property Inspector, she prides herself on her organisational skills and willingness to keep learning new things to do with property itself. In her spare time, you’ll find Gina on the side lines of many football match’s watching, cheering on her boys, and being a busy mum! Jack of all trades Mr Christmas started his working life as a tailor in London before settling into a career in property over 15 years ago here in Swansea. Laurence joined Dawsons in September 2013 and has enjoyed a varied role here ever since. When not in work you will often find Laurence enjoying family life or running along the seafront, he has also been spotted completing the odd half marathon (provided there is a glass of wine waiting for him at the finish line). Dawn joined the Swansea team, completing the admin Department in 2012. This role is key to the offices success in recent years with time flying by year on year. Dawn has introduced the office to her love of Darts, which has become infectious. Whilst not at her desk in Dawsons, Dawn enjoys using her creative skills to craft beautiful handmade cards and stationary. Kate became a vital member of the admin team in 2015, bringing with her, her positive outlook, strong IT mind and attention to detail, which the Swansea office would be lost without. Kate is determined to have an office pet, but has currently settled for a soft panda instead. Having joined the busy Swansea office in June 2018, as a full time administrator, Emma came from a part time Legal administration role. Emma's background also stems from studying and volunteering within the counselling sector. Emma Enjoys nothing more than setting new goals and challenges for herself both inside and outside her work environment. Whilst not busy in the admin office, Emma's main focus in life is her son, whereby she enjoys supporting his hobbies and interests. A former rugby player Neil has been in the property trade for over a decade, starting his career in Dawsons in November 2011 and since becoming a part time team member of the Swansea office. Naj as he is known to most, can put his hand to most tasks, which is handy in the role he fulfils here in Dawsons. Naomi began her career in estate agency in 2003, gaining experience as administrator through to lettings manager before joining Dawsons in 2011. After returning from maternity, Naomi now works part time in a newly appointed role within the Directors office, heading up the in house marketing team and completing everyday tasks for both the Lettings and Sales directors amongst many other things. While not in work you will find Naomi busy with her family or out and about with the scout association.